The Museum of the Home is more commonly known as the Geffrye Museum and is based in East London. It is a great little museum which is housed within original almshouses which gives the museum a more authentic feel and original experience. 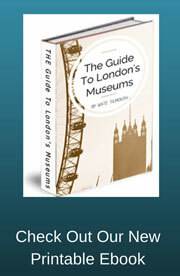 The museum holds various events throughout the year which will be highlighted here on this page. To make sure that you never miss any new events make sure you subscribe to our RSS feed or our Free monthly Ezine. Tuesday 15 March - Sunday 4 September. Free. 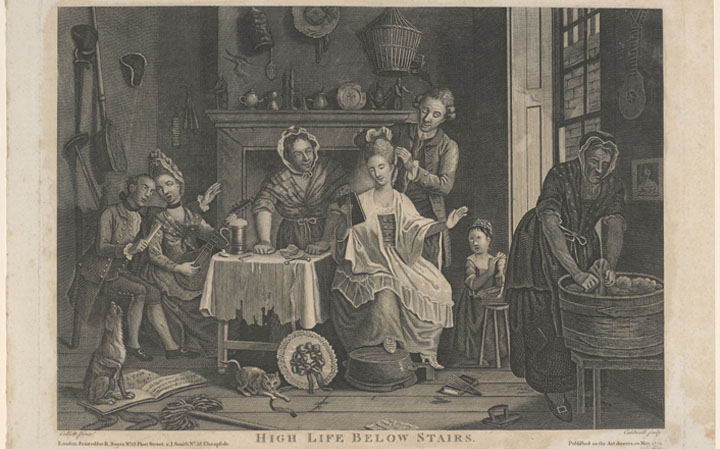 his special exhibition will explore domestic service and the experiences of servants living and working in middle-class homes over the last four hundred years, giving a glimpse into a world often overlooked by historians. New scenarios and subtle interventions in the museum's period rooms will illustrate the changing nature of the servant's work and the relationship between master and servant over time. An exhibition investigating the lives of a group of people living in a new housing development on the site of the old Arsenal football stadium. 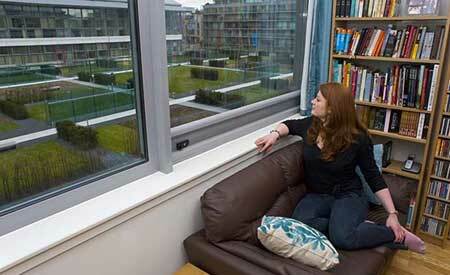 The housing is arranged around the former pitch, now a communal garden. The exhibition consists of photographs, film and sound recordings. 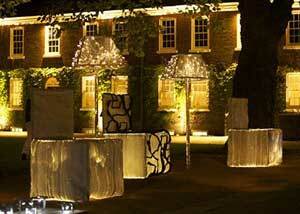 Giant chairs and lamps made from woven fibre optics have been displayed in the front garden of the museum. The items have been inspired by the museums collection and although looks great during the day really comes to life once it gets dark and turns the front garden in to a fairy tale light experience. Some of the 18th century almshouses attached to the museum of the home, still remain as they were when they were originally homes. These are normally not open to visitors but several times a year they are opened up to the public. Entry times are: 11am, 12pm, 2pm and 3pm. There is a small entry charge: Adults £2.50. 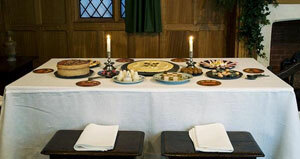 Every year the Geffrye Museum decorates its period rooms for the festive season. Giving an insight into the Christmas's over the past 400 years. With sounds and scents to heighten the senses and warm the soul, this annual Christmas exhibition will certainly warm the cockles of your heart. 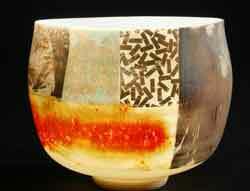 Range of selected potters from around the country, a mix of both leading names and rising talents. 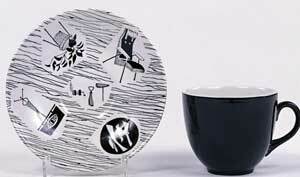 Classic tableware and other functional domestic objects to purely decorative and quirky one-off pieces. 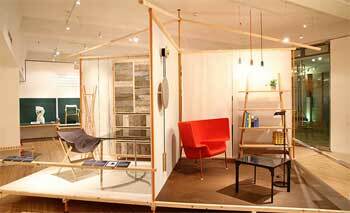 The show will take place in the museum of the home contemporary gallery. Visitors will have the opportunity not just to browse and buy, but also to meet the makers and watch free demonstrations. Craft activities will be run to entertain children on Saturday and Sunday. A special preview evening will be held on Thursday 20 September from 6.00 - 8.30pm. The restaurant will be open serving drinks and snacks.